The module is needed for compilation. The module is used during runtime. Specification version 7.43 is required. Nodes returing Boolean.TRUE from getValue("customDelete") are assumed to provide their own confirmation dialog for delete action and explorer will not show default one when they are deleted. Nodes returing Boolean.TRUE from getValue("slowRename") are expected to have potentially slow implemenation of setName. Explorer views rather process in-place rename in background for such nodes. Answer: The ExplorerAPI is build around Explorer - solely a user-interface device: it has no particular knowledge of the structure of the IDE. Rather, it provides the physical user interface for the Node hierarchy, as described in the NodesAPI. A given Explorer instance will be some visual component (such as a Swing panel) displaying some representation of a subtree of the complete Node hierarchy; the topmost node being displayed is said to be the root of the Explorer. Be careful not to confuse the root of a particular Explorer instance, which is selected according to what the user wishes to see, with the root(s) of the entire Node hierarchy, which generally are fixed. Provides Swing UI components that render provided node hierarchy in different ways (as a tree, list, icons, set of properties and many other). 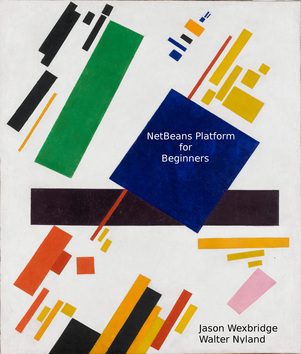 For general overview of the concepts related to nodes and explorers, together with code samples, see chapter 7, of NetBeans Platform for Beginners by Jason Wexbridge and Walter Nyland. Answer: The project needs Nodes API and UtilitiesAPI which are essential for it to run. Beyond that it uses runtime checks for presence of other APIs (PENDING) to use their features for backward compatibility. ETable - The module is needed for compilation. The module is used during runtime. Specification version 1.25 is required. TabbedContainerAPI - The module is needed for compilation. The module is used during runtime. Specification version 1.20 is required. org.openide.awt - The module is needed for compilation. The module is used during runtime. Specification version 7.43 is required. NodesAPI - The module is needed for compilation. The module is used during runtime. Specification version 7.24 is required. Answer: The module is platform independent. Answer: Runs on JDK1.3 and higher. Answer: Right now the module is part of openide.jar. Answer: The whole openide.jar and core.jar can be updated as nbm file. Answer: As part of openide.jar it needs to be in shared location. Answer: Both packages (org.openide.explorer and org.openide.explorer.view) are part of API, so there is no need to make them unaccessible. Answer: The module is fully internationalized. Answer: The explorer does not implement any standards. Answer: The only serializable object that might be part of some settings is ExplorerManager which serialization is backward compatible. Answer: Yes, it does. There is searched for java.awt.datatransfer.Clipboard.class (to obtain clipboard for cut/cope/paste operations), for org.openide.actions.ActionManager (to process an action in separate thread) and for registry of all top components. A presence these object are not forced, system can work w/o them. Answer: netbeans.dnd.enabled - Checks by Drag & Drop support for views. True is regard as default (no matter what jdk's version). False value disallows Drag & Drop in all views. customDelete - Nodes returing Boolean.TRUE from getValue("customDelete") are assumed to provide their own confirmation dialog for delete action and explorer will not show default one when they are deleted. slowRename - Nodes returing Boolean.TRUE from getValue("slowRename") are expected to have potentially slow implemenation of setName. Explorer views rather process in-place rename in background for such nodes. Answer: org.openide.explorer.VisualizerNode.prefetchCount - Setting this property to integer number controls prefetching of nodes when VisualizerChildren are constructed (prefetchCount = 0 disables prefetching). The prefetching should eliminate "bounce" effect (see #144718) in lazy implementation which is caused by the fact that there exist keys without nodes. In such case "dummy" nodes are created and remove event is fired. This undesirable effect is eliminated by prefetching selected number of nodes so "dummy" nodes are detected and removed in advance before any visualization occurs. Answer: Yes, TreeView calls via reflection to openide's Window System API and to Actions API to allow use Explorer API as standalone library. Answer: Also TreeTableView offers sort by the values of explored properties if type of value implements Comparable interface, it's based on semi-private API TreeTableViewSortingAPI. Answer: Same formats as during clipboard access. Answer: The module servers as a bridge between nodes and the clipboard. It takes what Nodes provide (Node.clipboardCopy, Node.clipboardCut) and inserts them into clipboard (as part of Copy/Cut action) and also retrive the content of clipboard and pases it to Node.getPasteTypes(Transferable)) during paste action. Answer: No, only the small dialogs, e.g. Rename, Navigator, etc.